Marketers are usually expected to give birth to a certain level of interest and hype towards the brands that they promote or which they endorse. These can be fixed by certain negative perceptions, by promoting the positive ones and by making sure these are there in the minds of potential customers and clients and by eliminating the negative perceptions once and for all. There is a very common misinterpretation that marketing needs puffery to certain level or twisting and exaggerating facts in an effort to increase interest in the brand. This kind of marketing hype also gets included into marketing strategies in some way or the other for both bigger and smaller brands, either unintentionally or intentionally. Puffery – What is it? Puffery is a claim or a statement which is promotional in nature and it is usually subjective and can’t be taken seriously. Marketers claim that their product is the best in the world or equal to something that’s entirely unbelievable like a product which claims to make you feel you’re in space. Marketers need to know that majority of the consumers usually disregard outlandish claims, unless a brand relates it to a slogan. Just as the brand Red Bull claims it can give you wings, the customers never believe that the drink will actually give them wings. Puffery – How does it work? There is a valid reason why such forms of marketing have remained for a long time and they still continue today. When a brand claims that a product is going to solve one of the main problem in your life, this is definitely going to grab attention, figures which show the amount of money that you can save may attract your wallet and overstress on petty traits may even change the way you think of a product. As a consumer, it is not our fault but it is the same reason why we prefer hearing less complex songs instead of more complicated ones. We tend to like bite-sized pieces of information and marketers have reaped benefits of that. But sadly enough, there have been too many cases of abuse related to scams and advertising. It is due to this practice that false advertising becomes illegitimate with different trademark violations under Lanham Act in 1946. Although companies have compiled and re-adjusted their strategies, there are number of violations which still take place and which lead to lawsuits. One of the biggest examples is the $13 million action lawsuit against the company Red Bull in 2014. No, this is not because the drink didn’t give you actual wings but because they claimed that the drink improved reaction speeds and concentration while it couldn’t be scientifically proven. However, the company claims that their labelling is accurate. This instance is enough to prove how detrimental it can be to skirt issues of false advertising with the help of puffery. Suppose you meet a person who at a marketing conference praises a specific product and after verifying that the person is not a salesperson, you try to buy that product. Once you purchase the product, you see that the product is solid but it fails to live up to all the claims that it had made. You might not be unhappy with the product but you will definitely feel that the product has been oversold to you. Depending on the extent to which you were let down by the company, you will start relating it to others. This damages the long-term relationship between a company and a customer. 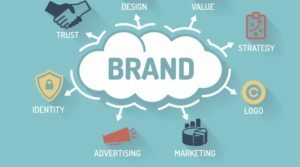 With the increasing difficulties associated with effectively using puffery along with the legal issues of damages to the reputation of the brand, it is creating an adverse impact on your brand. Judy, its time you leave now!